Clear skin is something we all strive for. Skip the harsh chemicals from the drugstore and open your pantry. I love the explanation and examples my guest Jodi has to help support your skin. Let’s be clear: I’m talking about raw honey, which is very different than regular honey. It’s not pasteurized, processed or heated above 95oF, which happens to be the same temperature that it gets in a bee's hive. Yes, those bees are so busy in there that all of their energy creates heat, keeping the hive and honey warm-ish! What’s this got to do with clear skin? Well, when honey stays at or below this magic temp, it’s able to retain all of its nutritional elements. This includes natural enzymes, probiotics (the good bacteria that work against acne-causing bad bacteria), antioxidants, phytonutrients, vitamins and minerals like calcium, magnesium, sodium, and potassium. Holy moly! All four of these minerals are vital for maintaining the electrolyte balance of internal fluids in your body. This helps keep cells hydrated and the skin internally moisturized. Electrolytes are also important for keeping skin alkaline since any acidity gives bacterial infections like acne a ton to feed off and grow on. 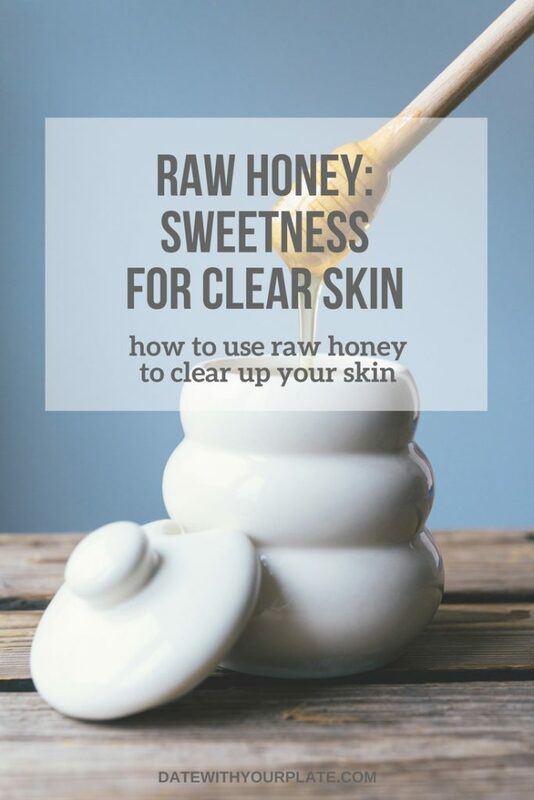 Some of the most important nutrients raw honey contains for clear, acne-free skin are zinc and B vitamins. B vitamins…bees…get it?? Seriously though, B vitamins are wicked for clear skin. It’s also got complicated sounding acetylcholine and nucleic acid, both organic substances in your body that promote collagen production. Collagen is super important for wound healing, including the marks and scars left behind by acne spots. And it supports the immune system for faster, more efficient repair of those scars. Collagen also helps keep your skin structure strong and firm. This is why there’s so much talk about collagen to combat wrinkles, fine lines, and aging. 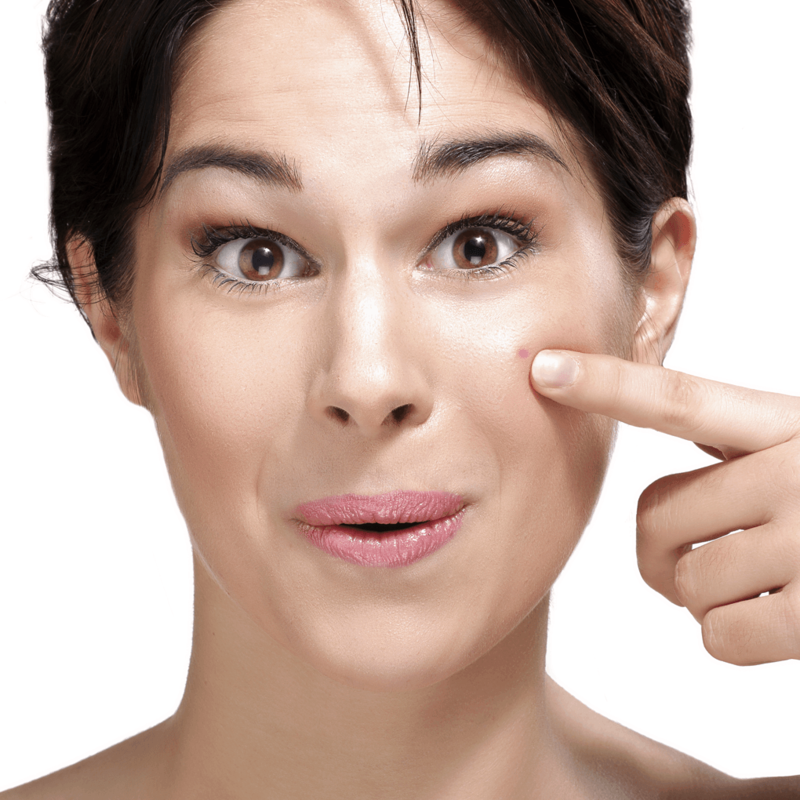 When the skin is stronger overall, it’s harder for toxins and chemicals to permeate and clog our pores. Raw honey is way more than just honey! It’s essentially a sticky, sweet, heavenly mixture of ground up honeycomb. So it’s a combination of all those hive goodies like beeswax, pollen, propolis, and royal jelly. Wondering what the heck the difference is between all of these things? Beeswax, the building block of all hives, takes the form of wax scales, secreted directly through the worker bees’ abdomens. How bizarre and amazing! Pollen is the fine, usually yellow, grainy powder that bees collect from flowers, along with nectar. It sticks to their bodies and travels back to the hive with them. It’s used for the nourishment of the whole colony, giving them a serious energy burst. A word of caution: some people are allergic to pollen, and so should avoid using or eating honey. Propolis is also known as “bee glue,” a gummy mixture gathered by the bees from tree bark and buds. It’s used to build their hive structure by sealing and filling in unwanted open spaces. I guess they don’t value personal space as much as we humans do! Royal jelly is secreted from the glands of workers bees. It’s got way more nutrient value than any other bee product, and so is used to nourish, nurture, and develop the larvae and Queen Bee. Ahhh, the circle of life! Although all this stuff may seem insignificant to us humans, all of them have been said to contain….wait for it….super extreme antioxidant powers! The good news is that nutrients and antioxidants within raw honey are available to us not only by eating them but also by using them topically. That’s right, you don’t have to just eat raw honey to reap its benefits – although if I was forced to eat only honey for the rest of my life, I’d be OK with that. The multitude of nutrients in raw honey makes it ideal for topical use too. It’s got the wonderful ability to reduce the flaring redness of acne spots, as well as help unclog pores. It also helps skin retain moisture and stay hydrated. Moisturizing is important even for acne prone skin because when the skin is too dry it will overcompensate by producing an excess of pore-clogging sebum. Raw honey helps to remove excess oil from the skin's surface, and its sticky consistency also helps to pull dirt out of pores. Thanks, honey! 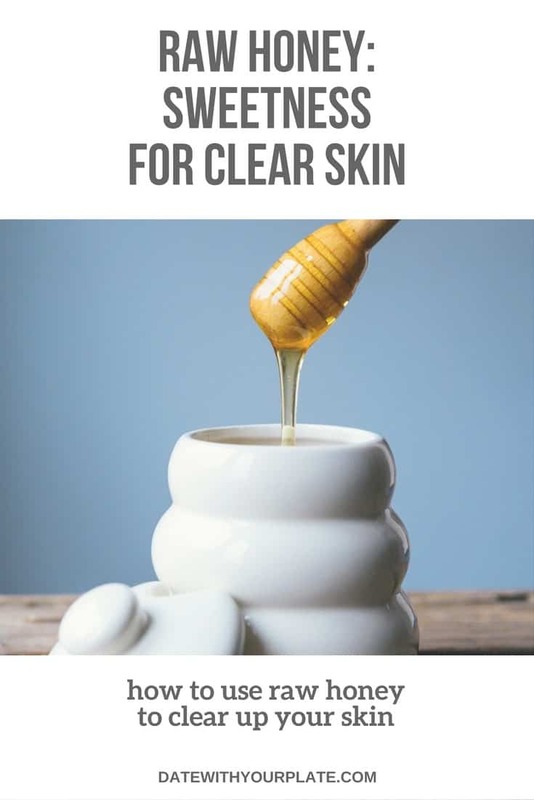 I personally use honey as a homemade face wash every day. It doesn’t sting my eyes and tastes good if I happen to get it on my lips or in my mouth. If a product is going in or near my eyes or mouth, I always use those made with ingredients I could eat (which is why I always use natural toothpaste & mouthwash as well!). Honey is amazingly versatile and can be used in so many homemade beauty products. 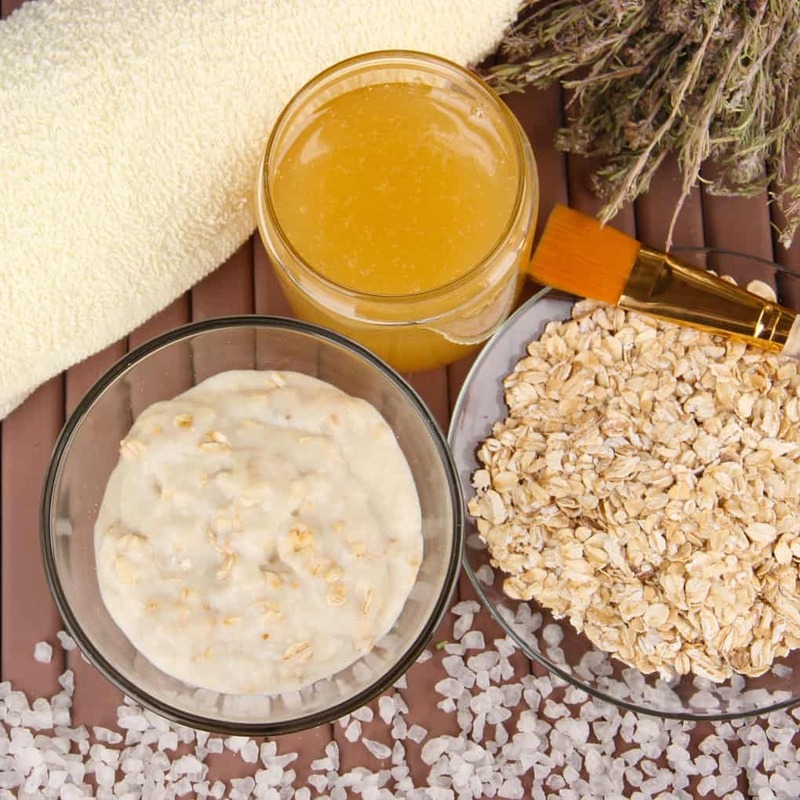 Right here, right now, in this post, I’m sharing a DIY spot remedy and a facial mask with you! Believe me, these are soooooo easy to make and really help you fight off those nasty breakouts! Apply directly to acne spots. No need to spread it around the pimple, or your face – all the acne fighting action will happen right on the spot! You can use this spot remedy as often as you wish. It’s great to use on an as-needed basis, or for more severe acne you might want to use it every day until the spots are gone. It’s up to you! This spot remedy can also be left on overnight, for ultra deep pore penetration. Just cover it with a bandage, so it doesn’t smear all over the place. Voilà! As mentioned above, some people are allergic to pollen, and should avoid using honey topically and orally. If you’re not sure, you can do a small patch test with honey on a discrete part of your skin to see if there is a reaction (such as a rash) or get tested by your doctor or Naturopath. You’re going to want to look for those jars of honey that have a thick, opaque, milky appearance. That’s the good stuff! When shopping for raw honey, the best sources for the pure, raw form are farmer’s markets, health food stores, local co-op, and the natural health food section at grocery stores. And contrary to popular belief, seeing some tiny crystals in the jar is a good sign. It means that the honey was not heated, remained raw, and therefore maintained its nutritional status. Clear honey has been heated and filtered to ensure a long shelf life, but unfortunately, has lost all of its nutritional benefits. Currently, there is no required regulation or certification of raw honey, so the best thing to do is buy only those brands that say “raw” or “unfiltered” on the label. Terms such as “natural”, “pure”, “untreated” and “unpasteurized” are not regulated and of little significance. When you see honey labeled as “organic,” just keep in mind that this is a challenging claim to make. For this to be valid, and for the honey to be truly organic, the bees must be pollinating only organic flowers. And the beekeeper must be able to track and control exactly where all of that pollinating action is happening, to make sure the flowers are in fact organic and untouched by chemicals or GMOs. I think we can all agree that this would be next to impossible. Those busy bees are hard to contain! Another word of caution: some of those big, well-known brands may not contain as much honey as you think. There are allegations that they’ve got fillers like HFCS (high-fructose corn syrup), sweeteners, chemicals, antibiotics and heavy metals. Yikes! If you’d like to find out more, check out these insightful articles from Food Renegade and Food Safety News. You’ve probably heard about the plight of our poor little bee friends recently. Their numbers have been decreasing dramatically, which is bad news for both them and us, as they pollinate a ton of the foods we eat. Nearly 80% of our food crops! Apples and berries are the ones I would miss the most. How about you? For the sake of the bees and their sweet honey, check out SOS Bees and CNN’s 5 Ways To Help Bees for some ideas on how to take action. In the meantime, just BEE beautiful! Jodi Graham, RHN is a Holistic Nutritionist working with people who want clear skin and to rid themselves of acne for good. 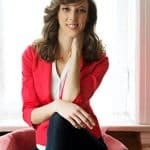 Jodi studied at the Canadian School of Natural Nutrition, where she learned the important role that food plays in restoring health and wellness in our bodies. Jodi believes diet, lifestyle, and mindset all play a role in our skin conditions. She blogs at Date with your Plate. Thanks so much for the opportunity to write for you Mindy – you’ve got an amazing site!! Thank you so much for sharing this awesome information with us! This post is incredible! Tremendous information on good/not so good honey. Thank you for all your research so we can benefit. Thank you Shirley, Jodi did an awesome job on this post!